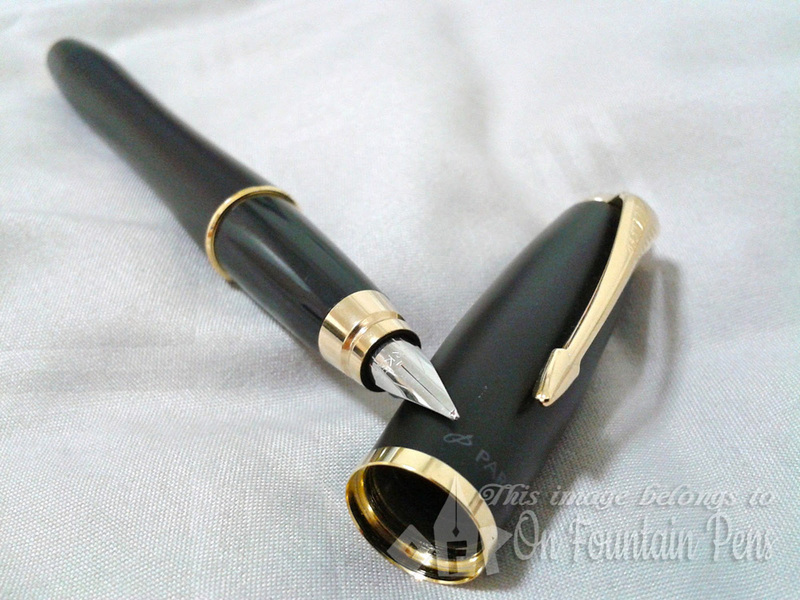 I hereby announce an excellent pen I have finally decided to unbox and try out: *drumroll* All hail the Parker Urban fountain pen, complete with muted lacquered black finish and gold plated trimmings! Such a beautiful pen was a gift from Mum for my birthday this year. I am only reviewing it now because I had wanted it to be only a display pen instead of contaminating the insides with ink. But curiosity got the better of me and I decided to fill it with the J. Herbin Rouge Caroubier ink that Maek had gotten me for Christmas, and WRITE. The ink flow was pretty consistent but likely due to the Rouge Caroubier’s quality, there is a moderate amount of shading . Not very visible from the picture above, but it can be felt while I write. However, this should be kept for an ink review another day instead. The consistency of the ink flow though is subjective to handedness — being a leftie and “pushing” the nib against the paper, I usually get brief stops of ink flow when I write quickly. It’s the same for this Parker but not a big issue for me. The nib is made of stainless steel and it has a similar shape as the Parker Vector that I own, which I find rather sleek and “cute”. See how the steel nib contrasts beautifully from the gold trimmings of the pen? Even though it is a smooth writer for a leftie like me, it produces a mild rustling sound on paper, like that of a wooden pencil but softer. 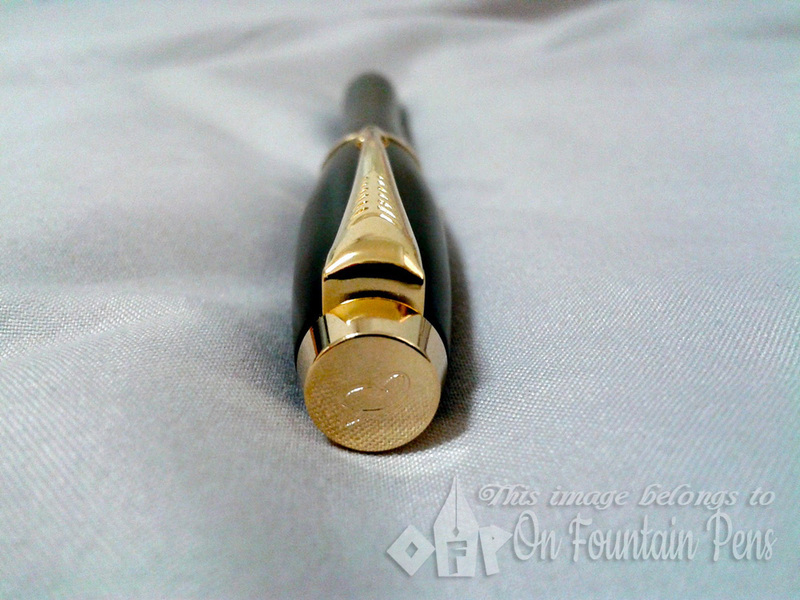 Not sure if this is a positive or negative aspect of a fountain pen but it was noticeable for me and I rather like it. 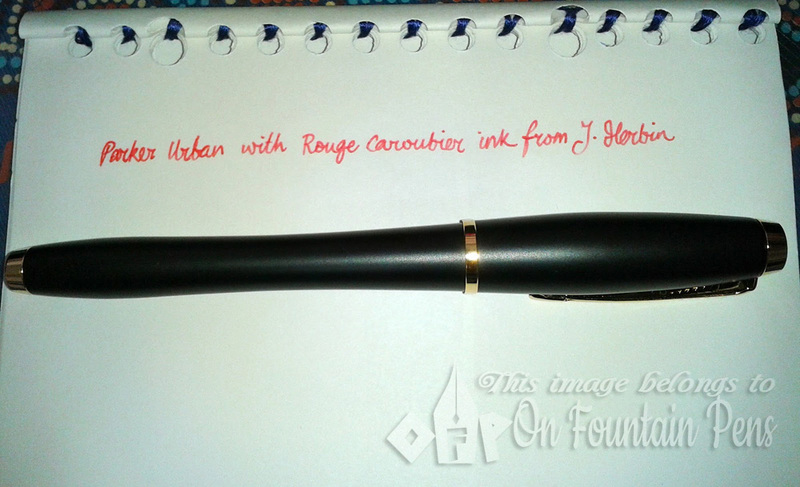 I would love to try this pen out with other inks such as the Pelikan but I would wait until I have finished the converter of the Rouge Caroubier before trying out other inks. I have replaced the Urban’s converter with a half-used cartridge of Parker Quink Black from my Parker Vector and tried writing with it. Statement about the decent ink flow is confirmed. Apologies for the lack of writing samples at this point in time. Oh, and I almost forgot to mention: the pen’s body has a nice curvy contour, the smallest diamater of which rests just right on the area between my thumb and index finger. The weight of the pen is moderately heavy but I like heavy pens, so it’s also not of an issue to me. 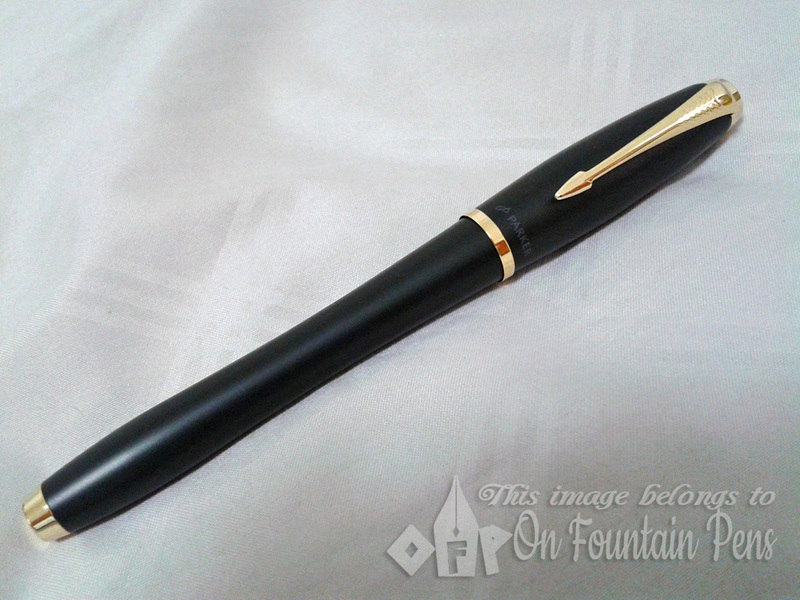 The matte surface is nice and smooth and I can’t help but keep caressing it; it’s a comfortable pen for writing. The filling system accepts Parker cartridges but the pen came with a slide-up piston converter, so filling the pen with ink is really convenient. Overall this is a good buy which costs only 50 SGD! <img class=" size-full wp-image-1896 aligncenter"
Hello Rouni, thanks for leaving a comment on my blog! I have both pens and according to my experience, my Lamy Al-star is less smooth than Parker Urban. It seems to vary, as some Lamys have very smooth nibs. My Parker Urban writes smoothly, but has a bit of ink flow problem. Of course, you might want to try tuning the nibs after getting them, to make them smoother and improve the ink flow. In that way, you can get either pen and it would not make much of a difference because you will tune it anyway. So it really depends on which pen you prefer. The Al-star is lighter than the Urban, and both pen designs are different in styles. I would advise you to go to a pen shop that actually allows you to try writing with each pen, before you decide on which one to buy. Are you living in Singapore? Thanks for sharing the review. I'm deciding between this and the Lamy Al-Star with a M nib, which do you find is a smoother write in your experience? Hello Deenah, thanks for leaving a comment here, it's much appreciated! To answer your question, no, I don't think the black finish scratches off over time. It looks like a very nice finish, and I have been using it for a good part of a year now, with no issues with the material. Hope it helps and do drop by again! hi, thnks for sharing. i wonder, would the black finish scratch off over time?